My parents always talk about when you can’t afford the big house, you need it. When you can afford the big house, you don’t need it any longer. Keeping up with the Joneses has been a way of life for decades, and with social media it doesn’t seem to be going away. I am an only child. Hate it. Have hated it since I understood the whole concept of siblings. When I was little, I asked Santa for a brother or sister every Christmas. I’m sure it broke my parents hearts, as they were not able to have any more children. My parents own a trucking company. 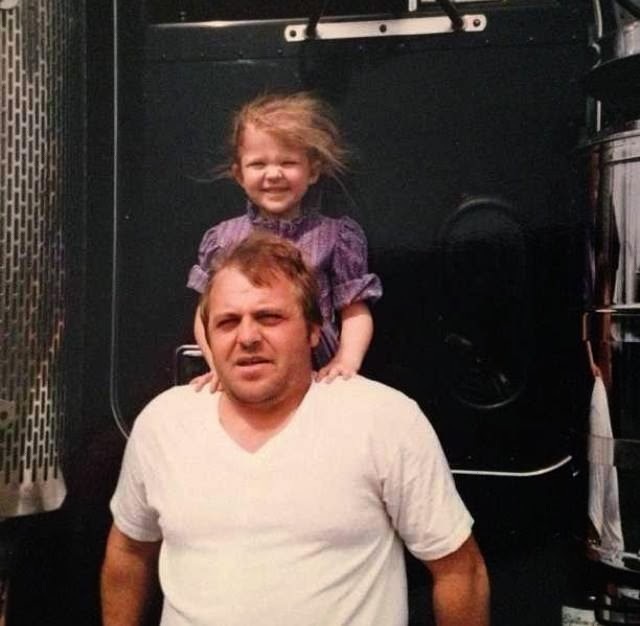 My dad was a trucker all my life. He would come home on a Saturday and sometimes leave again on Sunday. In the early years, he was never around. He was working hard to build something for us. When I was in the 3rd grade I distinctly remember my dad coming home from a trip and telling me we weren’t going to have to worry anymore. The funny thing is, I didn’t even know we were worrying. Was it me being naive? Maybe. Was it my parents sheltering me? Yes. And, I’m thankful for it. My mom talks about her seeing my dad for 12-24 hours a week. She raised me, ran a house and a trucking company practically as a single parent. She survived. I survived. And, I didn’t know any different. Did we grow up in a naive/sheltered generation? Not to mention, impatient. Our parents talk about how hard they had it growing up. How difficult it was in the early years of their marriage. But, some of us (I’m guilty, as well) want it how our parents have it right now. Sometimes we forget it took 30+ years of hard work for our parents to get to where they are now. Jeff and I live in a house we can’t afford, in a neighborhood we can’t afford. We are moving to Kentucky with a different mindset. We are cutting way back on going out to eat, entertainment, vacations, etc. Saving now and trying to raise our children in a more modest environment, because that’s how we were raised. I look around at some of the children today. They have new iPads and flat screens in their rooms, and it just makes me sad. 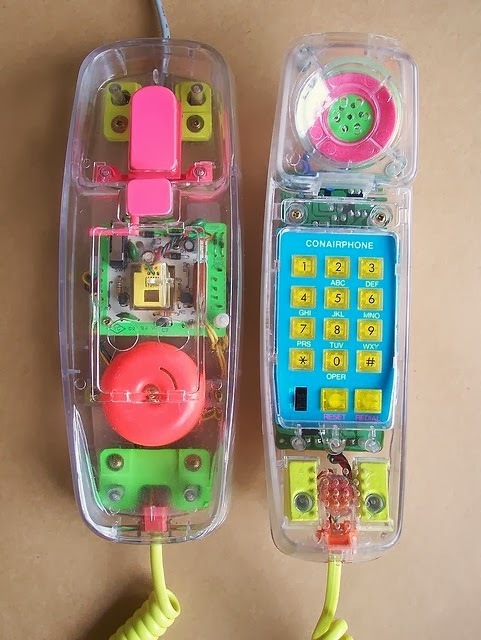 I understand that an iPad may be the 2013 version of the clear phone we all wanted in our teenage years. However, if our generation is impatient…what does that mean for the next? Entitlement. I recently read an interesting article on how downsizing means loving larger. The general concept was a smaller house can create stronger family bonds. Children share bedrooms, so they play in the living room instead. They do homework at the kitchen table. They play outside because it’s too cramped in the house. They survive. I hope we don’t live in a house that is falling apart, but I see the benefits of living smaller. Downsizing now to upgrade in life. I fully intend on giving our children everything they need. I never want them to worry, but I also want to teach them about hard work. Is this the right way to raise a child? You have to remember, I have no idea what I’m doing. But, what I do know is I want to be able to tell my children stories like I’ve heard from my parents over the years. The stories of struggle, and worry. I want them to grow up, look around and realize they didn’t know any different. We survived. They survived. So, they can pass that down to their children. Previous Post New Name. New Look. Think this is a wise thought. Though I used to want to kill Lee at times while we shared a room for most of my younger childhood, I think that living within our means made us part of who we are today. You are definitely providing your son with the foundation for a wonderful life! Love the new look, the new focus, and especially this post. It so warms my heart to hear you say these things. Having this focus will bless your family so much. You are right about the sharing of bedrooms bringing siblings closer to each other. It also prepares them more for marriage. Sure there will be squabbles and irritations, but not loneliness or withdrawal. There will be fun and friendship. Love this!! So true! You have no idea how much you'll be missed here. My brother and me shared a bedroom till we moved out when each of us got married. Didn't hurt either one of us. I think each generation goes through an I want it yesterday phase. I enjoy your blog and also miss you on the tube here.